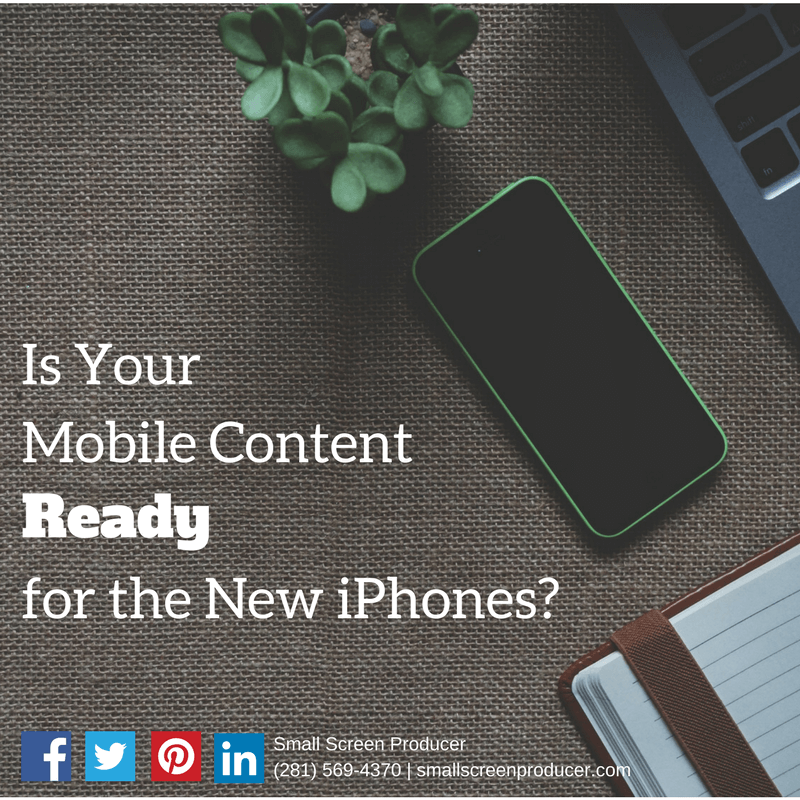 Is Your Mobile Content Ready for the New iPhones? On September 12, 2017 Apple announced that there would be three new iPhones joining the family: the iPhone 8, the 8 Plus, and the iPhone X (ten). While these smartphones may be of personal interest to businesses and marketers, they can also present some new challenges to mobile marketing that should be taken into consideration. Both the iPhone 8 and the iPhone 8 Plus feature the same screen sizes as the iPhone 7 and the iPhone 7 plus at 4.7 inches and 5.5 inches. The iPhone X, however, boasts a 5.8 inch screen, making it taller than its predecessors. The width of the new iPhone X is the same, which means that existing media queries will work just fine. But marketers should consider the fact that iPhone X users will be able to view more content because of its taller screen, so you will want to optimize content for these users before the phones become available. The iPhone X also boasts the highest pixel density ever available on an iPhone display with a “Super Retina Display” of 2436 x 1125 pixels. To make sure your images appear crisp and clear on these devices, you can create images in a larger format so that when they are scaled down you have more pixels for retina screens to display. Apple suggests a scale factor of 3x for its iPhone X and Plus phones, and a 2x for other displays. Regardless of your level of interest in the new iPhones by Apple, their release is a good reminder for brands and marketers alike to continually check in and update their mobile optimization strategy to ensure that all mobile users are getting the best experience when viewing your website and other content through their smartphone, tablet, or other mobile device. Interested in boosting sales and conversions by giving your mobile users a phenomenal user experience? Speak to a mobile marketing expert at Small Screen Producer today and call (281) 569-4370.